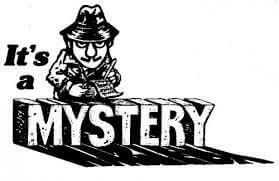 If you love to read mysteries and would love to talk about your favorites (or the genre in general) with other mystery lovers, join us tomorrow morning at 9:00 a.m. for the first in our Books & Bagels series. We’ll provide beverages and treats – you’ll provide conversation. All are welcome. Come in and join the fun … no registration required. Summer Time is Reading Time….